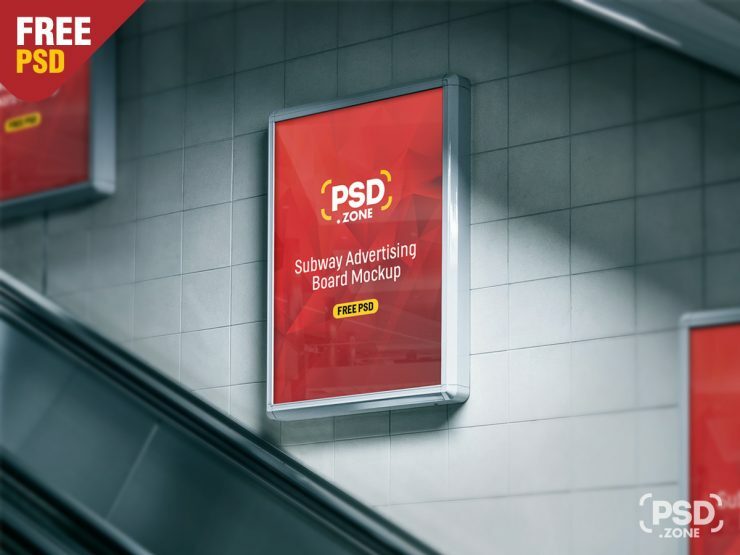 Today’s Freebie is Subway Advertising Board Mockup PSD. This Photo-realistic mockup showing a wall-mounted Billboard ads at escalator side in a underground station. This will look perfect with all kinds of Poster, Flyer, product, Movie Poster, presentations, advertising showcase. Simply repleace your own design inside the PSD file andyour new work automatically updates in the mockup in just few seconds! so Download this Subway Advertising Board Mockup PSD and its a available for free download.